A couple of years ago, I was starting to get eyestrain when working on my computer. After working a while, I would be squinting and my eyes would water. How was I going to continue working in web design if I couldn’t look at a monitor? Panic. So I replaced my beautiful old CRT monitor with an LCD one. I got a Dell 2007WFP, plugged it into my VGA cable and off we went. I remember a bit of trouble getting it to display at its native resolution of 1680 x 1050 pixels, but eventually it did. And my eyes were much happier. Now, almost two years later, my husband just got a new LCD monitor and used the DVI cable that came with it. He was amazed at the clarity of the image, claiming that it was even better than my monitor. He thought my new monitor would give a better picture if I connected the DVI cable which had come with it. So I tried it. But no longer would it display at 1680 x 1050. The closest it would do (Control Panel > Display > Settings) was 1600 x 900. “Your drivers are so out of date,” said my husband. 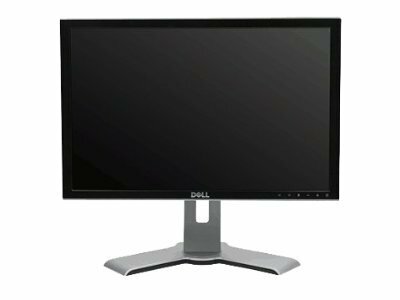 So I searched for new drivers for the monitor using Windows (XP) and also at the Dell website, but there were none to be found. But it was the display adapter (video card) that needed a new driver. We found one at NVIDIA, the maker of the video card. Once installed, it gave me a whole new range of choices for screen resolution, including the one I needed. Readers should know that LCD monitors have a native resolution, and are best used at that resolution. Now my display is crystal clear and I’m a bit wiser.